well, we have tried to shed a little light on Tier 2 again over on our YouTube channel. We will have an article on our app tomorrow. Please excuse our lack of knowledge on Tier 2 Rugby, we are trying to keep educate ourselves more and more. We asked Gordon Hanlon, a professional coach in Germany to chat with us. Hopefully you see some value in the video. 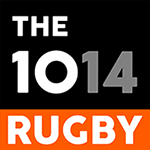 The 1014 Rugby chat with Gordon Hanlon, Director of Rugby for TSV Handschuhsheim in Germany. We explore the European structure outside Tier 1. Gordon offers a unique insight and sheds light on some controversial topics, including RWC qualification and the now famous recent match Belgium v Spain. Absolutely brilliant. Congrats on this format. I love your reaction and your genuine interest showed. Also a really great guest. Keep them coming! Would have loved, when talking about U18, that you mention how the Home Nations actually destroy these youth efforts by leaving the U18 European championships in 2015 (a year in which Georgia finished 2nd, France who stayed on 1st and Portugal 6th ahead of Scotland and Portugal). An additional viewpoint I never thought and your video has brought up for me. Maybe some more kids would try to go for that "black jersey" (as you nicely called it), if they would play the 6 Nation teams. Thanks guys, love your content! Keep at it! Great to see that you are also covering rugby Tier 2 rugby, your interviews are always quite interesting! I must say that you are becoming a very engaging and stimulating rugby channel and community. keep it up! Im intrigued to watch this once I am out of work. Hanlon was in the US before moving to CDUL in Portugal and then onto Germany. From his CV he was involved at a good level in Ireland. Have you thought about getting it onto reddit? I thank you for your efforts, but I didn't like this video too much. At least not as much as previous ones. I find it's a bit unfair/not so knowledgeable about Romania and Russia, the vision around Portugal is a bit too rosy due to his experience there, a description for what's going on in Germany would have been great and probably the Rugby Europe fiasco isn't quite well explained. Armchair Fan wrote: I thank you for your efforts, but I didn't like this video too much. At least not as much as previous ones. I find it's a bit unfair/not so knowledgeable about Romania and Russia, the vision around Portugal is a bit too rosy due to his experience there, a description for what's going on in Germany would have been great and probably the Rugby Europe fiasco isn't quite well explained. I agree with you, watched after reading the recommendations here and didn´t love it as much as the previous posters. Considering that they have to base a lot of the information off of the interviewee (Gordon), it’s no surprise that he focused on that. You can’t expect him to know everything about every Tier 2 country in Europe. Perhaps our forum members can send them some follow up information about T2 rugby for their next video. They are clearly interested and have a sizeable subscriber base. These days i appreciated anybody who isn't "to biased" . thatrugbyguy wrote: Perhaps our forum members can send them some follow up information about T2 rugby for their next video. They are clearly interested and have a sizeable subscriber base. Do you think they (i.e. T1 world) need it? I very much doubt about it. T1 world? He’s suggesting to send info to the 1014 who have been very open in asking for input since they are not experts. Knowing Gordon, because I've worked with him a lot with our technical series on EOD. He's very up to speed on the whole "fiasco". However, there was a time limit to the video. And as seen by the fact that our forum has covered every inch of the nuance. And then you go into ARN's series of Articles by Bryan Ray. That would take a good hour of film time. Great to hear that some people here enjoyed the video. Thanks so much for the feedback. Armchair Fan and Raven, we would love to know more about Tier 2, we'd love to invite you to write an article on our website/app and spread the news on Tier 2. it would be wonderful to get your input. There was a recent article posted on your website making the case for RWC expansion to 24 teams. I would like to see if you guys could dedicate a video on this with graphics because I feel what's holding a lot of people back from being in favour of expansion is that they don't see how it could work and what the advantages are. Once people see how much more balanced the 24 team world cup is they usually come around to the idea from my experience. I have graphics that I can provide that show the comparison between the current format of 20 teams and an expanded 24 team tournament if need be. The only way people will get on board with the idea is if they see it IMO. thatrugbyguy, we hope to add to our Rugby World Cup youtube playlist over the next couple of months. I'm not sure we would do a full video on reformatting the competition, but... we certainly could include a section on this. It could be very interesting. Would you think about creating an article for the app/website based on this with your graphics. Then we can use that to work it into a video? I'll look into it. I'm not much of a writer though. perhaps you should cover latin rugby, the sport is picking up quite a bit here, especially in brazil and uruguay! Well, Gareth, if you want more (or quick) infos about Brazilian rugby, just send me a private message. Always glad to help. Congrats for the show. Victor, I'm sure he does. Why don't you send him a private message. NedRugby wrote: Victor, I'm sure he does. Why don't you send him a private message. It worked for me when I did it!